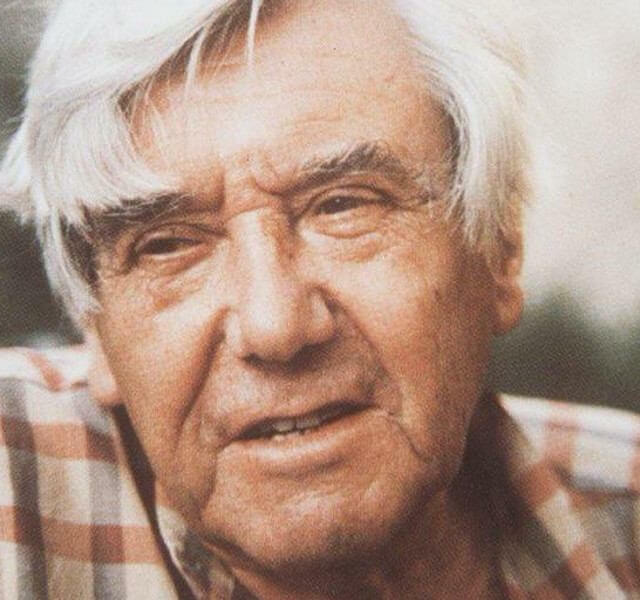 Roberto Sebastián Antonio Matta Echaurren (better known as Roberto Matta) was a Chilean architect and artist known for his contribution to the surrealist art movement. His works are known for their focus on sub-conscious thoughts, which held very true to the essence of what surrealism represented. Some of his later works shifted focus from simply depicting more subconscious thoughts to paintings that also had underlying messages about political and social issues. 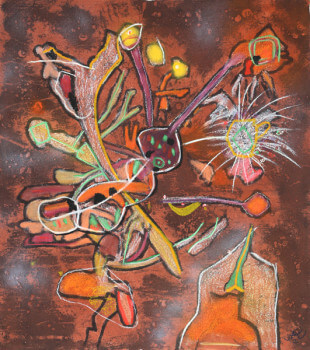 Matta was born to parents Don Roberto Matta and Mercedes Yanez in Santiago, Chile. His parents were of Basque, Spanish and French descent. There is some uncertainty regarding Matta’s year of birth. While Matta himself claimed that he was born on November 11, 1911, there’s also some evidence supporting that his year of birth was actually 1912. To clear confusion, Matta’s year of birth is usually given to be 1911, as he had said. From an early age, Matta showed much promise in artistic and architectural activities. It is said that, as a youngster, he liked to construct stages on which his cousins and friends performed plays for fun. Upon seeing the great potential he demonstrated, his parents spurred him on in his artistic pursuits and suggested he become an architect. He received his received his early education in architecture and interior design from the Sacré Coeur Jesuit College, where classes were held in French. After this, he attended the local French university in Santiago, Pontificia Universidad Católica de Chile. After finishing his studies, Matta had an intense desire to see more of the world. He spent some time travelling Peru and Panama, where after he joined the Merchant Marines and went to Liverpool, England. From there, he travelled to Paris, which was home to many young, aspiring artists at the time. In Paris, Matta worked as an apprentice with the renowned Swiss-born architect Charles-Édouard Jeanneret-Gris, more widely known as Le Corbusier. After working in Le Corbusier’s studio for some time, Matta gained exposure to many works by famous artists, which made him realise his keen interest in art rather than architecture. He decided to slowly change the course of his career to working in the arts instead, so he went from Paris to Spain, where he met many writers who, in turn, led to him being introduced to various artists who were very influential at the time. Through the surrealist writer, Federico Garcia Lorca, Matta met the infamous surrealist painter, Salvador Dali. Through Dali, he met the founder of the surrealist movement, André Breton, who shared many of the fundamental ideas regarding surrealism with Matta. These ideas, which were regarding chance and exploring how there might be much more to the world than perceived by humans, largely influenced the art Matta created once he became a painter. 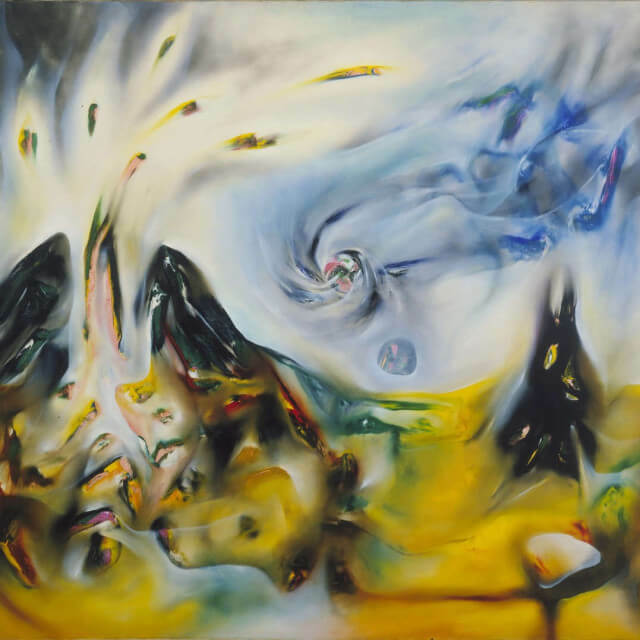 Throughout his career, certain concepts of surrealism remained an ongoing theme in all his work, even after he parted ways with the other supporters of the movement in 1948. During the uprising of World War II, in 1939, Matta and his artist friends headed for New York City. This move proved to be a rather big step in his career, as it helped Matta to establish the European ideas of surrealism in America. 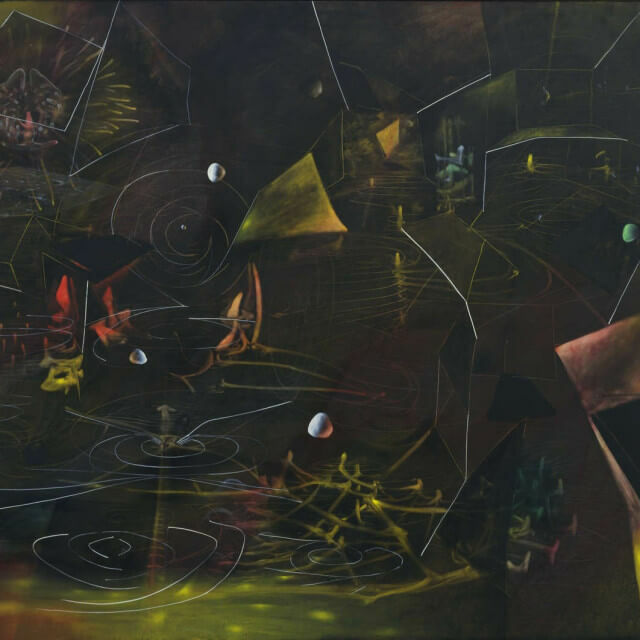 Matta began to teach some of the American painters about the surrealist movement and the ideas he shared instigated a new movement of art in America, abstract expressionism. After establishing his career in the arts, Matta enjoyed a long and prosperous life as a painter, occasionally also making sculptures and working with other materials. Apart from the influence Matta had on the development of important art movements, he also boasted a few other very impressive accomplishments. One such accomplishment would certainly be his first solo exhibition, which took place in 1940 at the Julien Levy Gallery in New York. 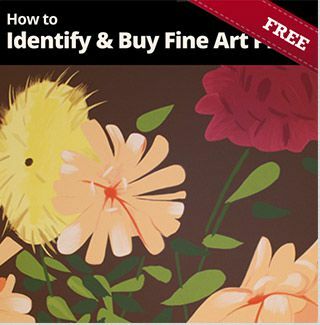 In 1956, he also painted a large mural for the UNESCO headquarters in Paris. Many retrospective exhibitions were held to showcase Matta’s work in very respectable galleries across the world. 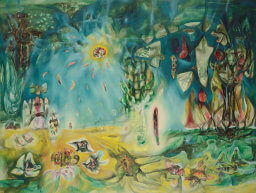 For instance, the Museum of Modern Art held a retrospective exhibition of Matta’s work in 1957. 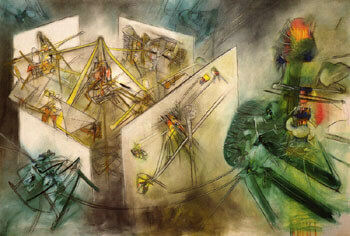 Later, in 1972, Matta was voted as one of the world’s 10 greatest living painters in an international poll. Matta’s works were done using oil paint. He believed that in order to truly create something new, an artist couldn’t start on a plain white canvas because that would result in the use of ideas that already existed. With a lack of something strange and unknown, he believed the mind would revert back to ideas that previously existed within it. So instead, he would take his finger and smudge it over the canvas when he started a new painting, after which he would let the piece take a life of its own. He called the works he created using this technique “psychological morphologies” or “inscapes”. The emphasis of his first works were often more focused on the idea of paintings that flowed directly from the sub-conscious mind, but his later works incorporated a theme of political awareness, often depicting how he experienced machines almost as being monstrous and in contrast to natural human life. Matta was a firm believer in the idea that art could be revolutionary, and so, he strove to create works that would be of meaning by using ideas he felt were relevant to modern struggles such as the dehumanization of life through technology and warfare. Matta was a firm believer in the idea that art could be revolutionary, and so, he strove to create works that would be of meaning by using ideas he felt were relevant to modern struggles such as the dehumanization of life through technology and warfare.